There's a lot of talk about what the most effective marketing channel is... social media or email? The fact is that both are much more effective when they work together as part of an integrated campaign. 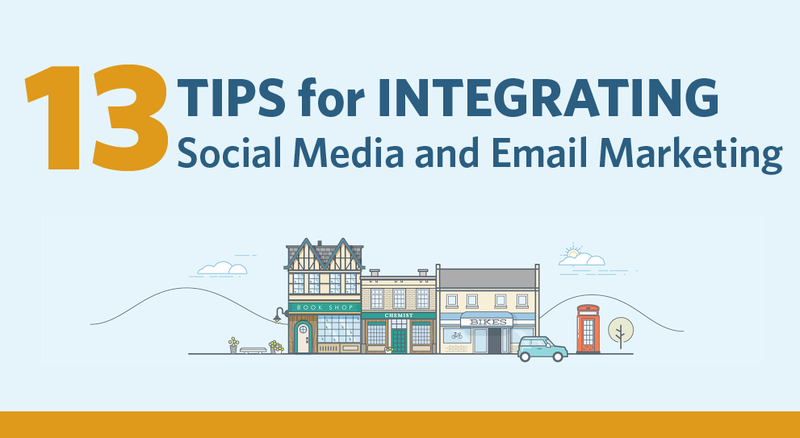 That's why the team at ConstantContact asked 13 industry experts for their top tip to help businesses utilize both social media and email marketing. A key tip from Dave Chaffey, CEO of marketing advice site Smart Insights. "The smart way to use email marketing to support social media engagement is to find opportunities to automatically send emails to your subscribers encouraging them to engage with social media. So far, so obvious, but the trick is to map opportunity to send behavioral or event-triggered emails throughout the customer lifecycle. For example, a welcome email could encourage to check out a brand on social media site or a post-purchase email could encourage a review to be shared by social media." Read rest of the tips in below graphic.